Cycling is weird enough. Lycra. Funny hats. Chafing cream, Fabio Aru’s pain face. Damn, even the very concept of riding 100s of miles on a bike is weird to many. So it comes as little surprise the sport hands out some very odd prizes. Just won a cycle race? Here’s a bucket of gravel! Ya! Personally, I still can’t get over the piglet prize. A piglet is the prize for the leading Breton at Tro-Bro Léon, a ride through the filthy farm tracks of Brittany, France. My favourite prize without doubt. Perhaps the most famous of strange prizes. Yet the mounted cobble is one of the most prized in the sport. Perhaps one of the heaviest too, weighing in at 12kg. Quite a challenge lifting this above your head at the end of a long day, especially considering cyclists are hardly reknowned for their upper body strength (Peter Sagan aside). Sausage is your spoils should you win the King of the Mountains prize at the Austrian tour. The organisers have evidently decided you’re far too thin and need a little rounding out. How to eat such a beast? I reckon you go with the inverse hotdog – cut the sausage in half and stuff with bread, mustard, ketchup and onions. The food theme continues at the Tour of Britain, where the most combative rider gets a big roundel of cheese. The type of cheese is sourced locally from each stage. 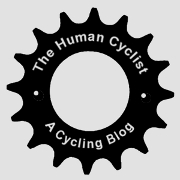 How is the most combative rider identified? It’s either the rider who shouts at their puncture the loudest or the rider who shows the most aggressive riding during the race. No, I don’t get it either. A bemused looking Mark Cavendish accepts his prize. Perhaps the organisers were hoping rival sprinter Andre Greipel would win, or as he is often referred to, The Gorilla. Better watch out Cav, the rider next to you, Eli Viviani looks peckish. What better prize? I’m not a gambling man but I’m willing to bet the keg in the image below is empty. In addition to lovely beer the riders can drink in the off season, the barrel also makes for a nice occasional table in the lounge or bedside table perhaps. Keep it classy folks. The prize for making the podium at the Uno-X Development Weekend appears to be a bucket with your name scrawled on the side. Nice! I had no idea if there was anything inside when I first found this image. Haribos? Shimp? Cow urine? Nothing would have surprised me. A bit of sleuthing and I find it’s a bucket of gravel! Not quite as prestigious as the Roubaix cobblestone eh? No wonder one guy is sponsored by ‘joker’. Too funny, but they all look like they’re happy with their prizes, especially the piglet. I think he’s calculating the number of bacon sandwiches he’ll get out of it! Can think of no other sport with such truly odd prizes. Who else would be happy with a cobblestone??? Isn’t there a story – maybe apocryphal – that when the winner of the pig departs the stage at Tro Bro Leon, Bernard Hinault is liable to appear and offer to take it off your hands for a very reasonable price? (Or was that a bull…at some other race? I forget).